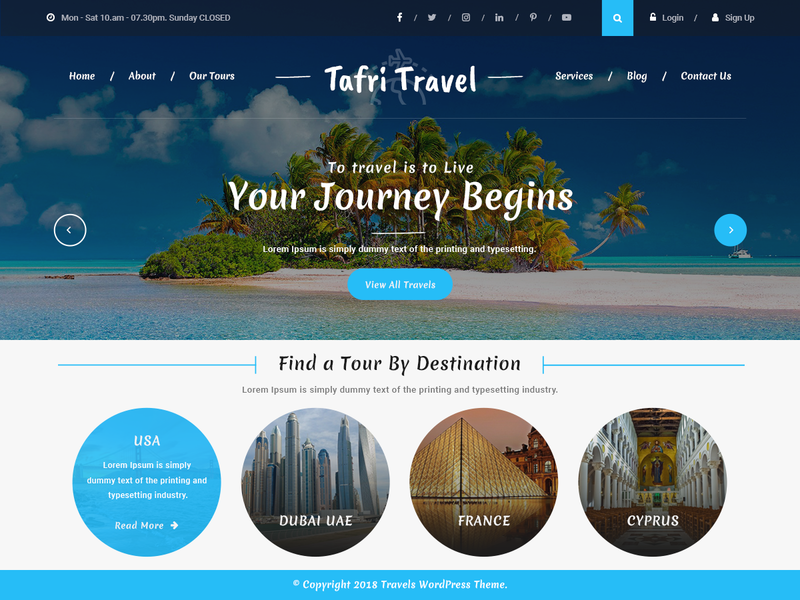 With the rapidly growing tourism industry, you need a website that will attract users at the very first look and what better option than this WordPress travel theme which has an awesome design and advanced features to make an ideal travel website in the least possible time. Its clean design will professionally display the services you excel in to generate unparalleled leads. It offers various layout options for website and blog page, different header and footer styles and option to include sidebars to tell your travel stories in the environment you want. It is readily responsive, cross-browser compatible, translation ready and retina ready. There are many widgetized areas throughout the theme to include many different functional blocks. It is integrated with WooCommerce plugin to beautifully display products and get all the features of an online website at one place. We provide a reliable customer support and regular theme updates for one year with this premium theme. This WordPress travel theme is packed with some amazing shortcodes to implement features like multi-column layout, instagram feed, video, audio etc. without going into deep coding. It is optimized for search engines and has fast loading pages to boost your website speed. Colours play a vital role in a travel theme and we very well know this. Hence we provide unlimited colour options and numerous Google web fonts to use them anywhere in the website. It is a highly customizable theme to change its various elements in just a couple of clicks without involving in the coding part.